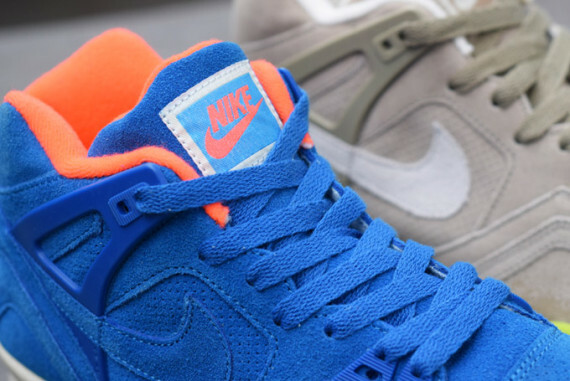 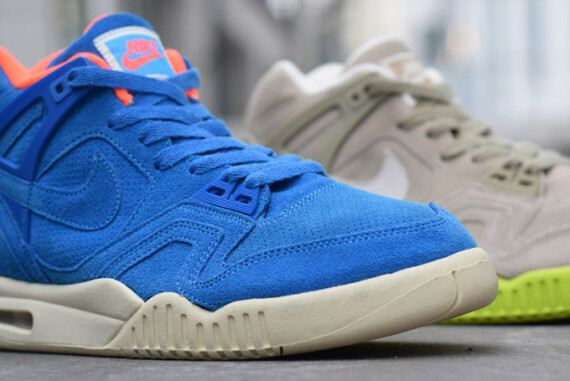 Today's latest news brings us a look at another pair set to release as part of the Air Tech Challenge II 'Suede Pack' by Nike Sportswear. 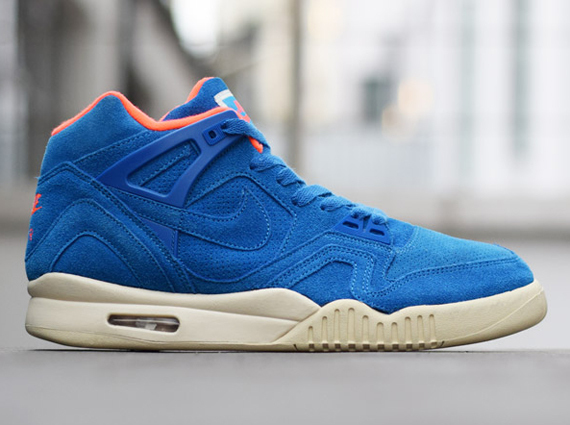 The Andre Agassi endorsed retro classic rocks a full suede upper covered in royal blue. 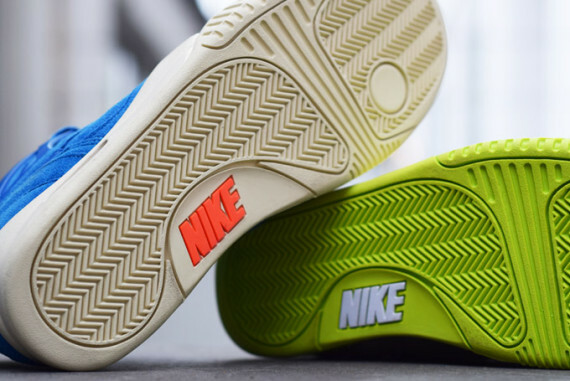 A familiar color scheme is brought to life with orange over the collar lining and Nike branding throughout, while the easily recognizable ATC II tooling below is covered in khaki.